Pose is an American 60 minute scripted drama television series, which kicked off on June 3, 2018, on FX and is broadcast every Sunday at 21:00. The show is currently in its 2nd season. FX has officially confirmed the renewal of Pose for Season 3. The exact release date is yet to be announced so far. Sign up to track it down. Set in 1986, Pose examines the juxtaposition of several segments of life and society in New York City: the emergence of the luxury Trump-era universe, the downtown social and literary scene and the ball culture world. 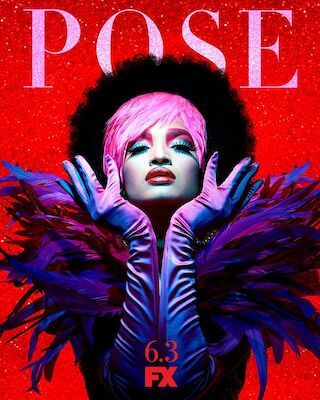 FX has renewed the groundbreaking dance musical series Pose, it was announced today by John Landgraf, CEO of FX Networks and FX Productions. The second season of Pose will debut in 2019 on FX. "Ryan Murphy has once again revolutionized television with Pose, an incredibly engaging story of creativity, courage, compassion, love and family at a pivotal time in our culture," said Landgraf. "As television critics have universally acknowledged, there is simply nothing like Pose on TV, so effortlessly excelling on every creative level and earning a place in television history for its infectiously inclusive spirit. We are honored to partner with our producers Ryan, Brad Falchuk, Steven Canals, Nina Jacobson, Brad Simpson, Alexis Martin Woodall and Sherry Marsh, and the incredible cast and crew to continue this groundbreaking journey that is Pose."